There are several privacy fence options to choose from! Adding some curb appeal to your home can seem like a tall task, especially if you are not design-inclined. If you are looking for an easy way to boost your home value, enjoy your home even more, and add some major curb appeal, look no further than a privacy fence from Hercules Fence Richmond. While privacy fences sound stuffy and formal, there are countless designs that look as beautiful as a more traditional fence. 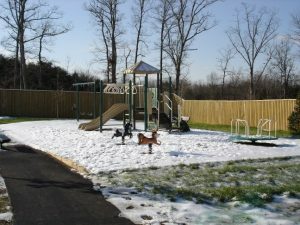 Here are some of the most popular privacy fence designs that we build on a daily basis. Do you have a smaller yard that isn’t appropriate for a garden but want to scratch your green thumb itch? Build a vertical pallet garden screen on one side of your privacy fence. A vertical pallet screen uses recycled pallets and new plants to create a privacy barrier between your yard and the neighbors. Wood pallets are easy to find and recycle, and plants can be grown from scratch or purchased at a nursery and repotted at your home. If you aren’t interested in growing flowers, you can use your vertical pallet garden screen as a place to grow herbs and everything you are interested in accenting your dinner with. This is a particularly clever use of a privacy screen that adds real value to your home. This tip can be used to turn an existing chain link fence into a privacy fence in a few weeks or months. A living fence is covered in vines and other plants so that it’s just about impossible to see through. If you love the lush green look of vines, this is totally for you! Plant creeping vines along the length of your fence and guide them up to encourage proper growth. Within months, you will have a great amount of cover and a true privacy fence. This entry was posted on Friday, August 4th, 2017 at 3:53 pm. Both comments and pings are currently closed.